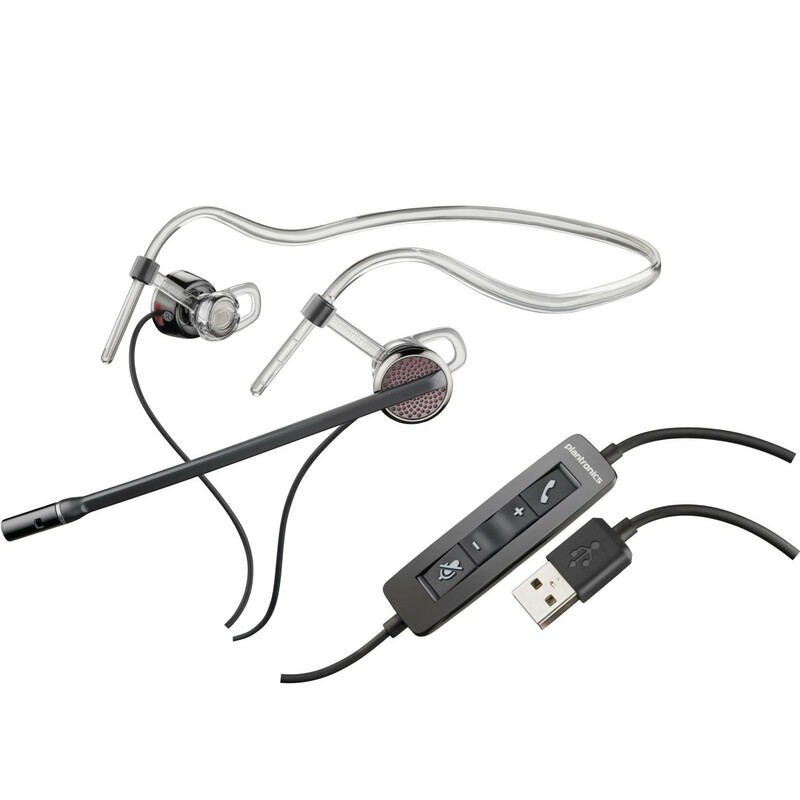 Sporting a compact and travel-friendly design, the Plantronics Blackwire C435M corded USB headset features excellent sound quality, effective noise cancellation and an intuitive set of in-line call management and volume controls. Versatile and convertible, this high-end headset can also function as either a binaural or monaural headset. This version is certified for use with Microsoft Lync. Designed for the modern call centre where voice clarity and reliability are typically top priorities, the Blackwire C435M does not disappoint with its rich wideband audio. 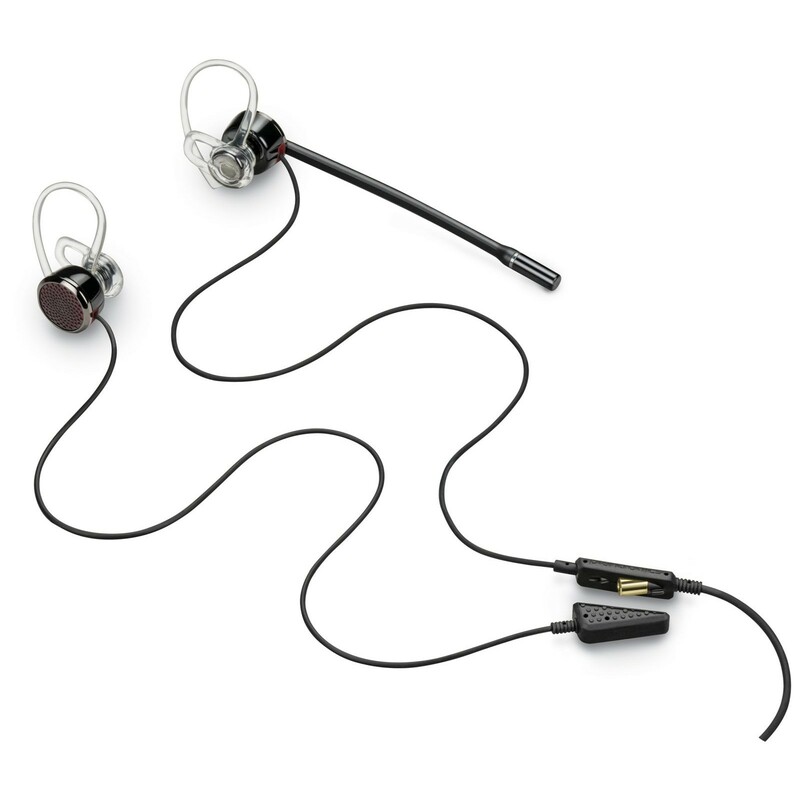 The noise-cancelling microphone is highly effective at getting rid of background noise, while wideband audio increases speech clarity. The headset is also equipped with enhanced digital signal processing for more natural-sounding speech and a dynamic equaliser that automatically adjusts its settings depending on the multimedia application in use. The stylish Blackwire C435M features a small control panel on the cable with buttons for changing the volume, muting the microphone and answering and ending calls. These controls allow you to answer incoming calls without having to interact with the computer, and there won't be any compatibility issues either thanks to plug-and-play connectivity with any modern computer. 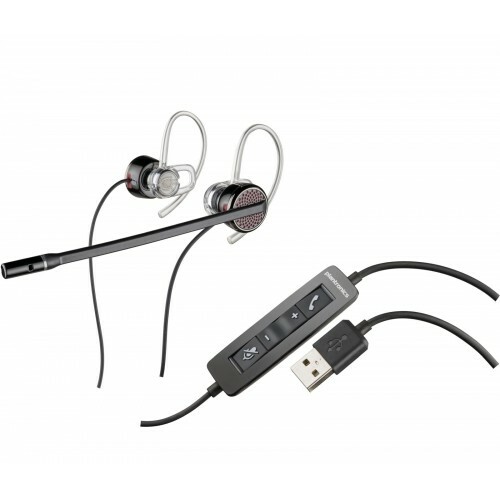 Being a USB headset, the Blackwire C435M operates independently of your sound card too. Stylish and versatile, featuring various different wearing styles, the Plantronics Blackwire C435M is a professional solution for use in offices and call centres that use VoIP telephony, particularly those that use Microsoft Lync.